Just what we needed! Super fast shipping! Fast shipping, great communication, perfectly as described. Thank you! Well Packaged, Fast Shipping - A++ Seller - Thanks!!! 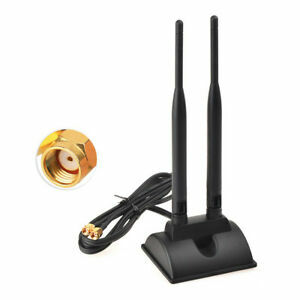 Great replacement for card based antennas. Purchased needing better signal for desktop wifi. Improved wireless reception by about 20% over card based antenna. With these you can move around to get the best reception. Only wish is that the antenna were replaceable in case one get damaged, but overall impressed with the results.